ST. JOHN’S, NL – Quidi Vidi Brewing has announced the latest release in their new series of seasonal beers. As it says on the label, our Continental Pilsener is “brewed in the Bohemian tradition, this pilsener is the grandfather of today’s lighter style lagers.” Made with no additives and no preservatives, Quidi Vidi beers are brewed the way beer should be – with water, malt, yeast and hops. 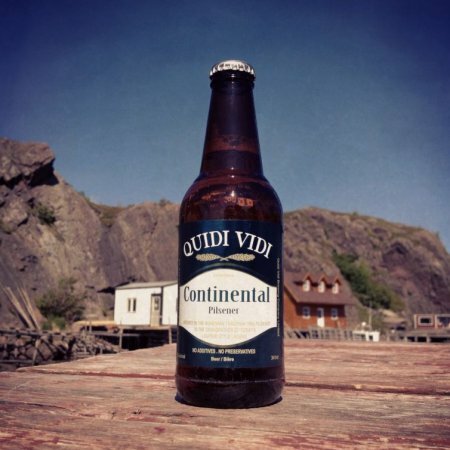 Quidi Vidi Continental Pilsener is available starting this week at NLC Liquor Stores throughout Newfoundland and Labrador, where it will retail for $14.98 per 6-pack of bottles.